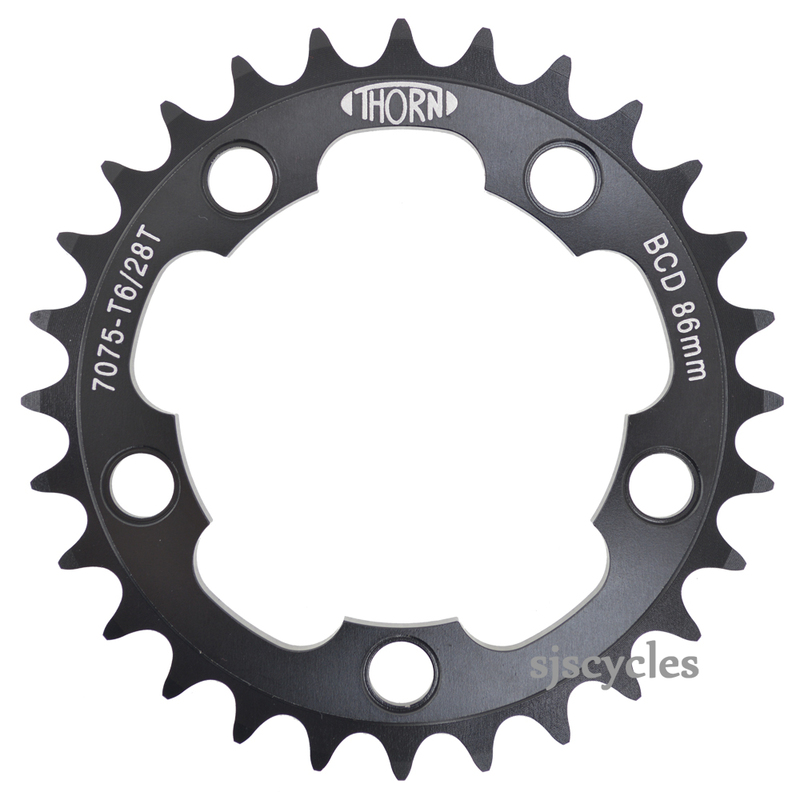 A better than the original, top quality chainring that fits Stronglight 80 / 99 / 100 chainsets frequently fitted to Dawes tandems and touring bikes. cant say any thing about quality yet, but questions were aswerted very good an fast previus to shoping. Excellent service and excellent product. I'd been searching for a emplacement for my 1982 30T chainring, and this is doing the job very well. Thank you. Can I use this to turn a Stronglight (series 99) double into a triple? And are you able to supply the longer bolts and spacers required to do that? Unfortunately we do not have the direct experience of this / the relevant parts to suit. I need to know the center to center distance between two chain ring holes to verify it will fit on my chain ring.